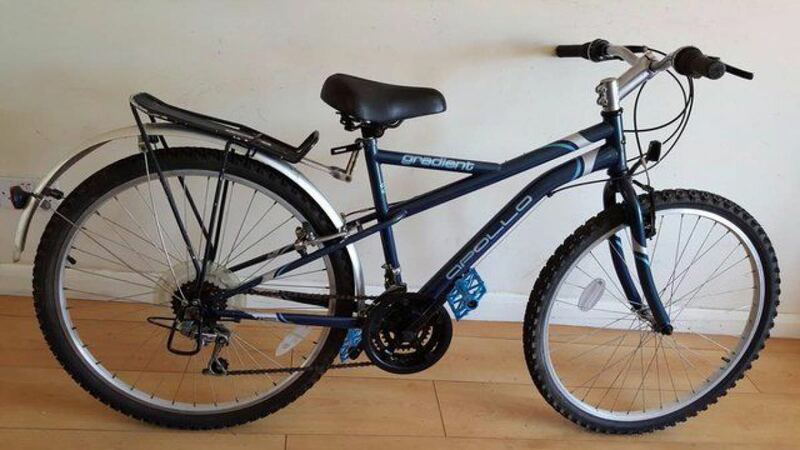 Apollo Gradient Mountain Bike. 15 speed. (Suit: 16 yrs to Adult). 5 foot 2 inch to 5 foot 6 inch tall. 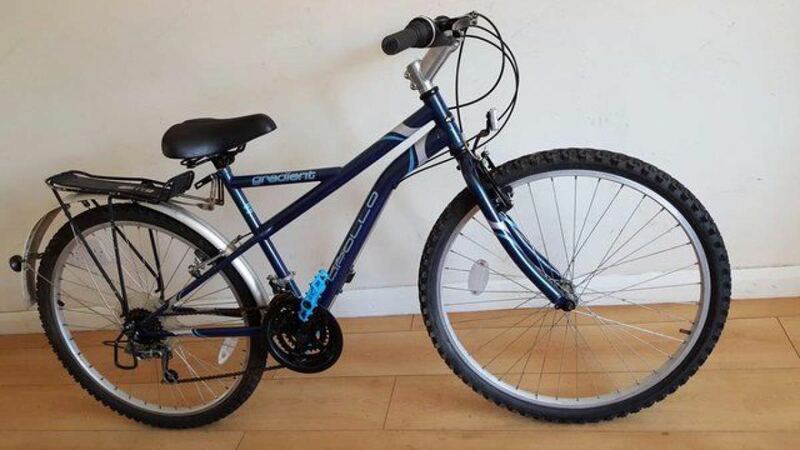 This is a hybrid bike, meaning it has characteristics of a mountain bike (handlebars, tyres), and features of a racing bike, (no suspension, sporty looks). The unique frame design makes it suitable for male or female to ride. It has long back mudguard to ensure that rain water doesn't splash on your back. The rack can hold work bags or side panniers. I have also fitted colour coded pedals, and large spring comfort seat. 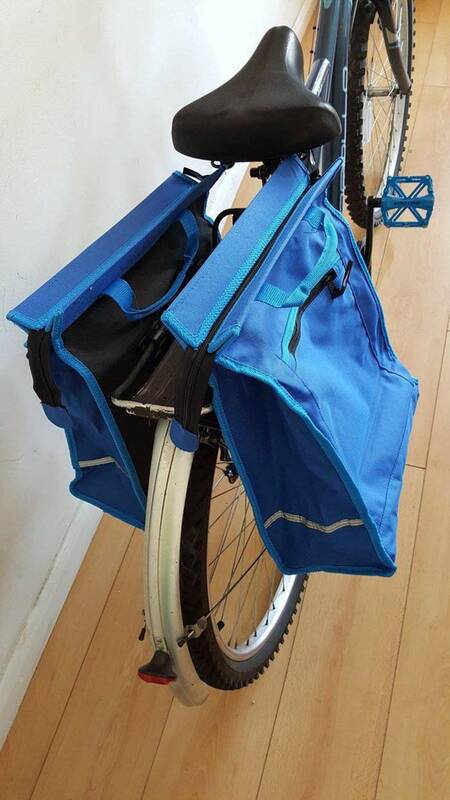 Side Panniers – in the picture, are not included in the selling price. I put them on for the picture as a demonstration. They are new, and have never been used. They cost £10 if buyer wants to buy them. Everything working as it should. There are a few scuff marks and scratches to the paintwork and graphics, but nothing too serious to affect the overall performance of the bike. From B69, Oldbury, approx 1 mile from town centre.